Earthly Matters Painting and its employees treat each painting contract as an agreement to create a long-term relationship. 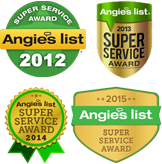 Keeping up with schedules, quality, and working safely will result in a satisfied customer. Earthly Matters Painting is an Atlanta based company working the entire Southeast.